For a New Caledonia resident, this powercat frequents the lagoon with some offshore voyages for deep sea fishing, visiting Vanuatu etc. Simplicity was the keynote in design and layout. Time has proven that this approach and low maintenance time and costs certainly go together. 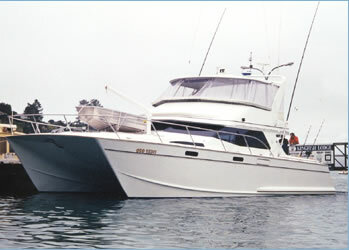 Flybridge hardtop with soft covers.